New. Sewn binding. Cloth over boards. With dust jacket. Contains: Illustrations. New. 100% Money Back Guarantee. Brand New, Perfect Condition. We offer expedited shipping to all US locations. Over 3, 000, 000 happy customers. Sewn binding. Cloth over boards. With dust jacket. Contains: Illustrations. Fine. 100% Money Back Guarantee. Brand New, Perfect Condition. We offer expedited shipping to all US locations. Over 3, 000, 000 happy customers. Sewn binding. Cloth over boards. With dust jacket. Contains: Illustrations. May the models be with you! 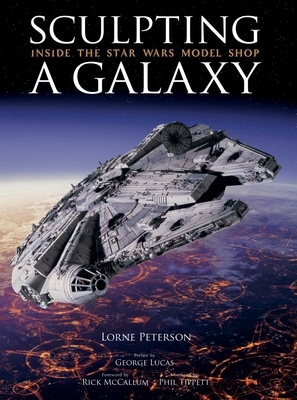 This book, when read in conjunction with the 'Star Wars Chronicles', provides the only indepth investigation into the conceptualisation and construction of the models used in the Star Wars saga. 'Sculpting the Galaxy' will provide serious model connoisseurs with rare photographic references of the best known and obscure models. A must have reference work.